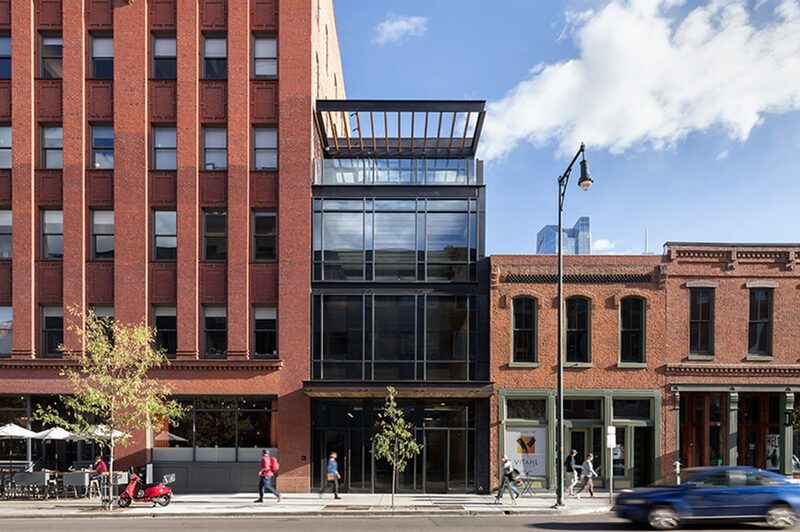 A crucial yet highly sensitive infill into LoDo’s urban fabric, this four-story building fills a 25-foot wide slot between the six-story Historic Sugar Building and the two-story neighbor at 1540 Wazee. 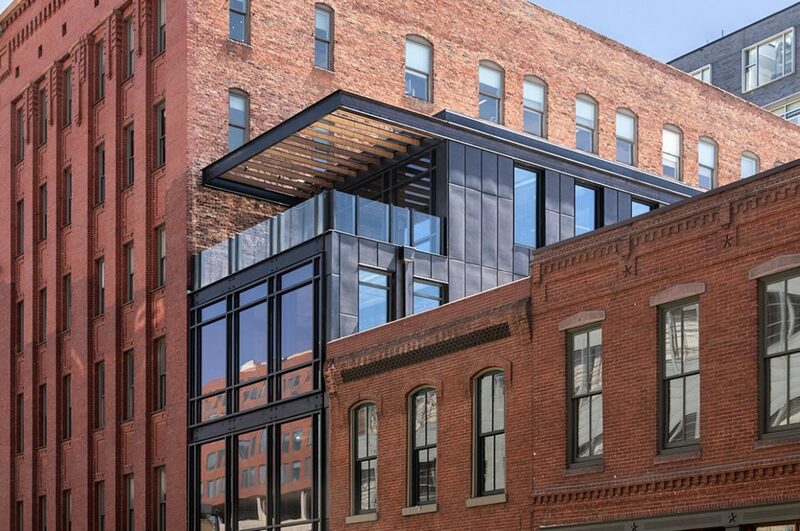 It was designed as addition to the Sugar Building, but it is hardly a quiet addition. Its Location between two historic structures created a unique set of design and construction challenges necessitated by the extremely tight urban condition and limited laydown condition. An exposed structural steel frame carries 5 ½” thick precast concrete floor slabs, which accelerated the installation of the building’s superstructure. The design is distinctly modern, but still respectful of the context, scale and rhythm of the neighborhood. 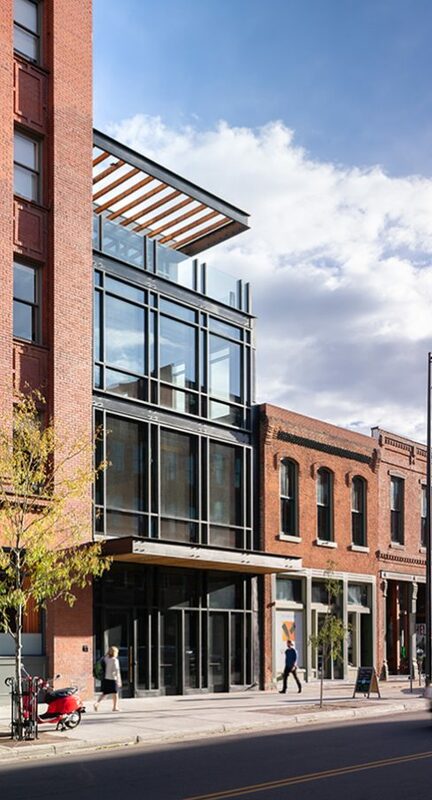 On the third and fourth level, large panes of thick, fireresistant glass windows on the property line bring natural light into the project, and provide dramatic city views for the new tenants. 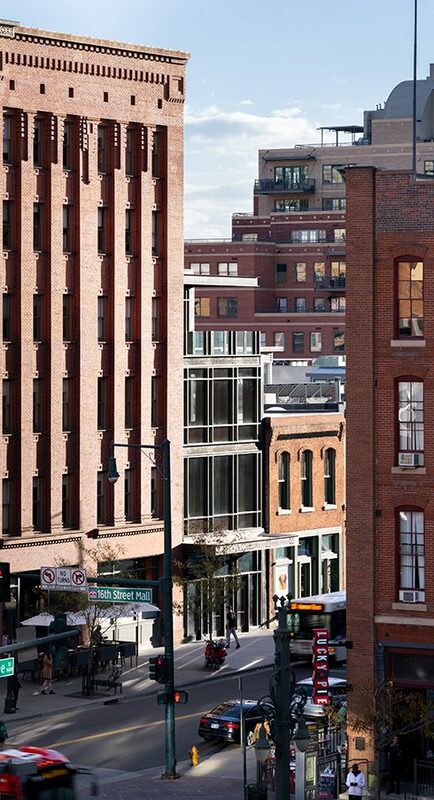 The project’s transparency allows the visibility of the historic ghost signs on the Sugar Building. 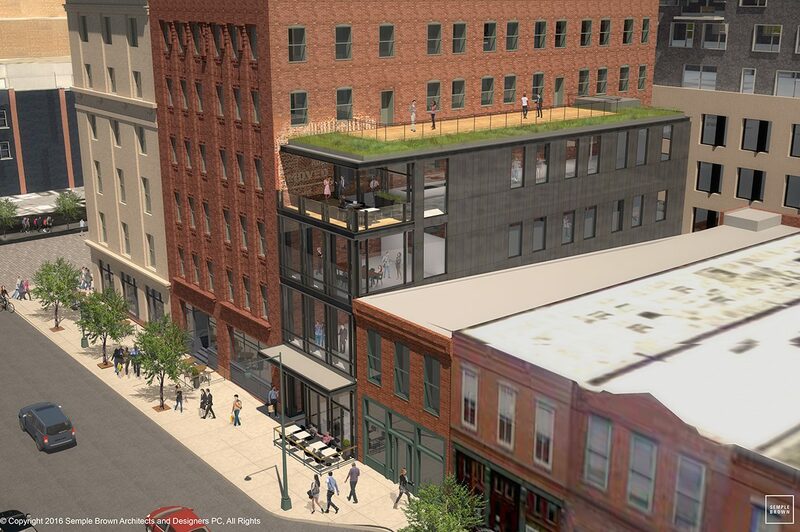 A fourth level amenity deck and a fifth level roof deck surrounded by a green roof, caps the project with a tangible commitment to sustainability by the owner/developer.